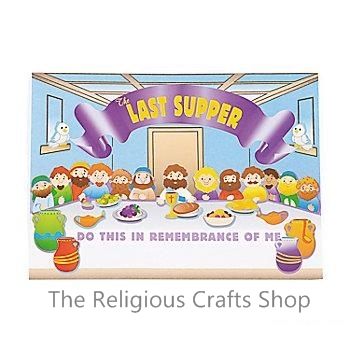 12 Last Supper Sticker Scenes. This is an easy and creative activity for children of all ages to make. There are 12 background scenes measuring 16.5cm by 12cm and 12 sticker sheets with stickers measuring 2cm to 12cm.